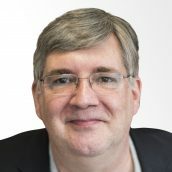 Simon Roberts MBA is an experienced Scrum coach, Certified Scrum Trainer and Scaled Agile Framework Program Consultant. He has been using Scrum and helping organisations to adopt Scrum since 2002 and using agile/lightweight methods since the end of the 1990s. He has in-depth experience in introducing and coaching Scrum in large, medium and small organisations. His recent experience includes working with large telcos, financial institutions (insurance and banking) and game development companies. Scrum is an agile product development management framework that is focused on helping teams to produce successful products that genuinely meet the needs of their customers. While originally used for the development of software based products, Scrum can be and has been used for non-software projects, including for change management. Scrum supports the introduction of lean and agile principles, with the goal of embracing change, improving quality and maximising return on investment. The Product Owner is not simply another name for a project manager. 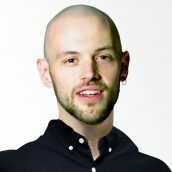 It is a new role that combines product management with some traditional project management responsibilities.The product owner’s responsibilities include creating and communicating a vision for the product, defining priorities, consolidating the needs of all stakeholders and working closely together with the development team. A good understanding of the Scrum framework is required to be able to participate on this course. 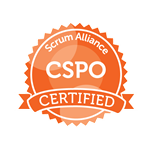 Please note that it is mandatory to participate during the entire duration of the training, this condition is strictly required for the Scrum Alliance certification.